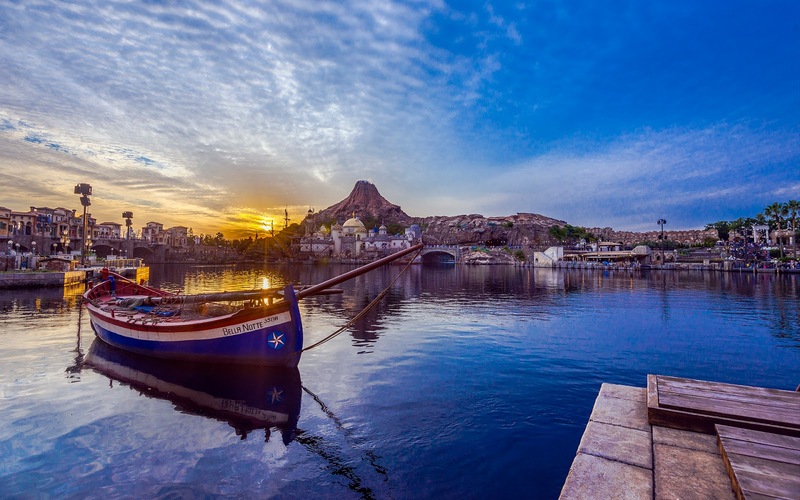 Tokyo Disney Sea is magical enough just by itself. The immersive landscapes and seascapes, the immaculately detailed theming, the charming architecture, and the spirit of exploration all make this the most spectacular Disney park. But add some cooperative weather to get a nice sunset, and the magic really amps up! Here's a peaceful and magnificent afternoon scene from this charming Sea of Dreams! A small vessel drifts along the waterfront of Mediterranean Harbor.